The Annual Arkansas ArchaeOlympics: Three Years On and Growing! Five schools (University of Arkansas, Little Rock, University of Arkansas, Pulaski Technical College, University of Arkansas, Fayetteville, Hendrix College, and University of Central Arkansas) fielded 6 teams and 35 archaeoletes for the 2017 Arkansas ArchaeOlympics. The Toltec Mounds research station is hosted by Arkansas State Parks, but archeologists at the station have always worked with area institutions of higher education to provide unique opportunities for Arkansas students. These have included volunteer opportunities in field and lab work, internships based at the research station that provide upper level students with advanced professional training, and mentoring of independent research projects. Three years ago, in partnership with her colleague Dr. Krista Lewis of the University of Arkansas Little Rock, current Toltec Mounds research station archeologist Dr. Elizabeth Horton helped develop and host the first ever “Arkansas ArchaeOlympics” as a part of the Arkansas Archeology Month celebrations. The ArchaeOlympics was conceived as a fun and informal series of games that also provides learning experiences about archeological methods and past lifeways for local anthropology and history students. 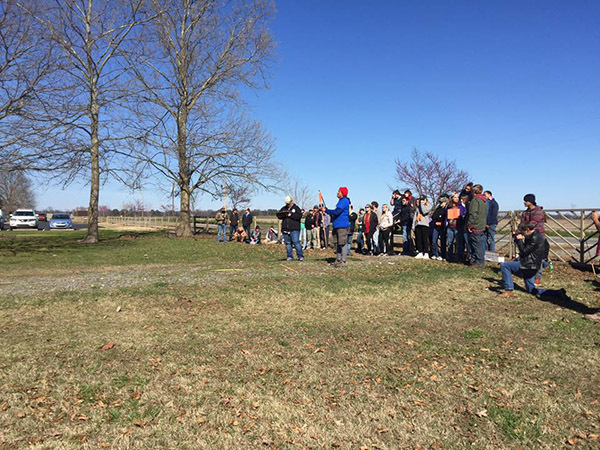 These students, enrolled at the University of Arkansas Little Rock and Pulaski Technical College, had been volunteering at the Toltec Mounds research station. The following year, students from more institutions of higher education got involved, so Horton and Lewis faced the increasing challenge of designing exciting yet educational competitions for the larger group. 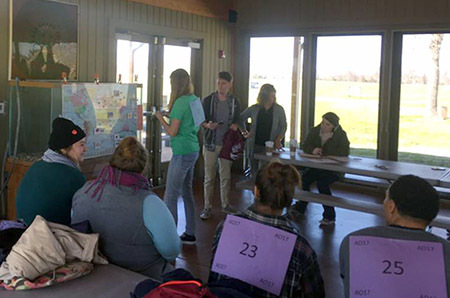 This year, 2017, the 3rd Annual Arkansas ArchaeOlympics hosted 35 students in six teams from five institutions across the state: The University of Arkansas Fayetteville, University of Central Arkansas, Hendrix College, University of Arkansas Pulaski Technical College, and the University of Arkansas Little Rock. Judging and assistance was provided by alumni (and former competitors) of the University of Arkansas Little Rock and by staff from various Arkansas Archeological Survey research stations. Archaeoletes gearing up for the 3rd Annual Arkansas ArchaeOlympics at Toltec Mounds State Park. For the 3rd Annual Arkansas ArchaeOlympics, the “Archaeoletes” demonstrated their ability to accurately lay out excavation units in the “Pythagorean Sprint,” a nod to the mathematical formulae every archeologist must know and use to create perfectly measured distances and 90 degree right angles at the corners of excavation units of any size. In “Eating Origins” competitors demonstrated their knowledge about global centers of domestication by rapidly, but accurately, placing a randomly drawn tile representing a plant or animal on a world map to show where it originated. The last, and the perennial favorite, event had competitors showing off their marksmanship with a fascinating but simple piece of ancient technology—the spear thrower or atlatl. Competitors had to accurately hit a target at a distance of 15 meters using a spear thrown with a spear thrower. 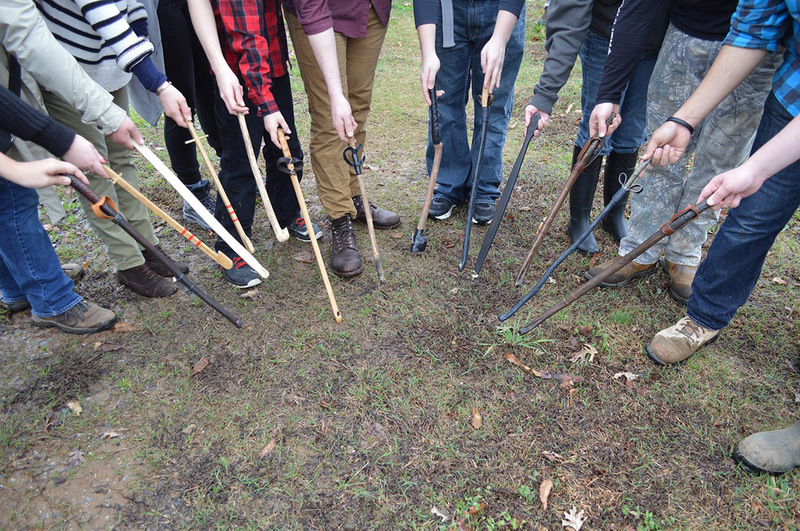 The “Spear and Atlatl” competition also allowed participants a little personal glory as the game counted for both individual champion and team champion awards. Over the years students have become invested in learning the skills and knowledge sets to compete at a serious level. Participating students and their school clubs schedule practice days, with some teams collaborating to find space where they can practice together, even though they'll be competing against each other. The ArchaeOlympics is fun, but also provides a unique chance for undergraduate students across the state to meet and get to know their peers and to interact with peer organizations from other institutions. It has helped motivate students to create or revive anthropology clubs, to volunteer on Arkansas Archeological Survey projects, and it has opened the door to collaborative relationships between students and student organizations across the state.